How to Replace iRobot Roomba Battery? My iRobot Roomba 550 Pet Series from Costco has been automatically cleaning the floors of my home once a week for over 4 years. And although this smart vacuum cleaner isn't perfect, it does a fairly decent job keeping hardwood floors clean. But with age, the rechargeable battery will be in need of replacement. Luckily, iRobot designed their vacuum cleaner with battery replacement in mind. It's easy and only involves removing five screws to replace a Roomba battery, taking less than 10 minutes. When looking at reviews for all these batteries, they all have some bad reviews. Surprisingly, many of the poor reviews for the authentic iRobot battery indicates poor battery cycle life. 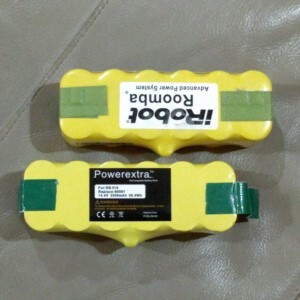 On the other hand, many of the poor reviews for the Powerextra battery are complaints of defective batteries that stop after a few cycles. What to do Before You Purchase Roomba Battery? Before you purchase your new Roomba battery, confirm that your Roomba model number matches the compatibility listed on the specifications. What to do After you Purchase Roomba Battery? Immediately begin using your battery, as it comes with a warranty. Run it more than you would on a regular schedule during the duration of the warranty. Make sure you weren't unlucky to receive a defective battery. Deleting My Favorite Speed Test App "Sensorly"